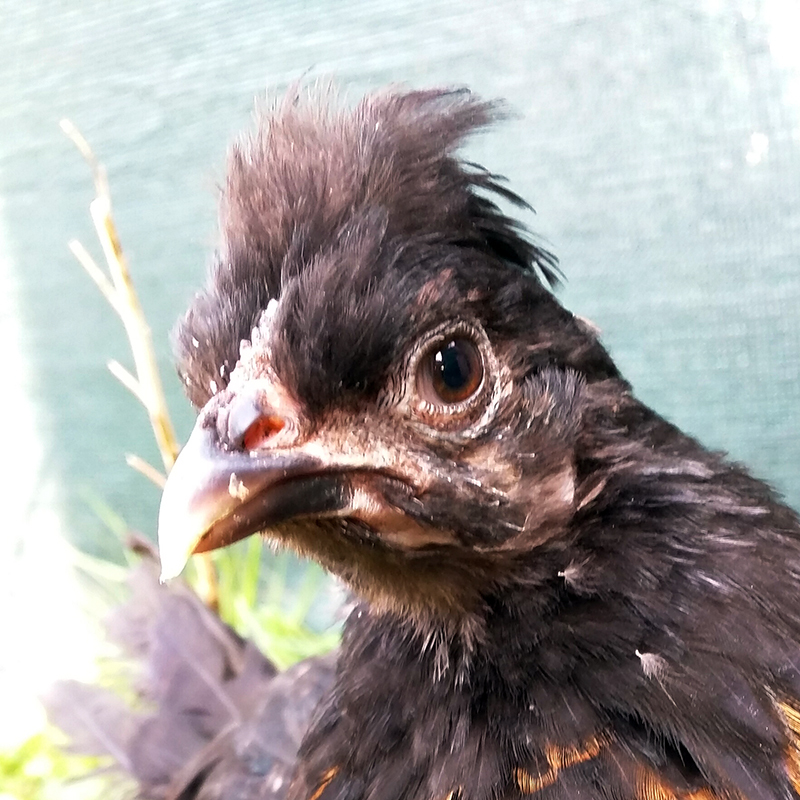 The initial goal in treatment of conjunctivitis in chickens is to determine the primary cause. Cases of unilateral conjunctivitis that do not respond to antibiotics should consider the presence of a foreign body. If foreign material is suspected, the chicken should be examined by a veterinarian, under general anesthesia, in order to flush the eye repeatedly with saline solution or equivalent eye solution, and remove any visible foreign material with the aid of sterile cotton swabs. Infectious Coryza: Infectious coryza is an acute upper respiratory disease of chickens, caused by Avibacterium spp. It is most often transmitted to flocks by introduction of a new chicken or reintroduction of existing flock member that recently attended an event which included other poultry. Infectious laryngotracheitis: Infectious Laryngotracheitis (ILT) is an acute respiratory tract infection of chickens, caused by the Laryngotracheitis Virus (LTV). LTV strains vary in virulence from highly virulent strains that is highly infectious and usually fatal to low virulent strains that cause mild to inapparent infections. The two historically most common presentations of ILT are classified as two forms--mild epizootic and severe epizootic. Oxyspiruriasis: Oxyspiruriasis is an infection with Oxyspirura mansoni, an eyeworm that is a type of nematode. 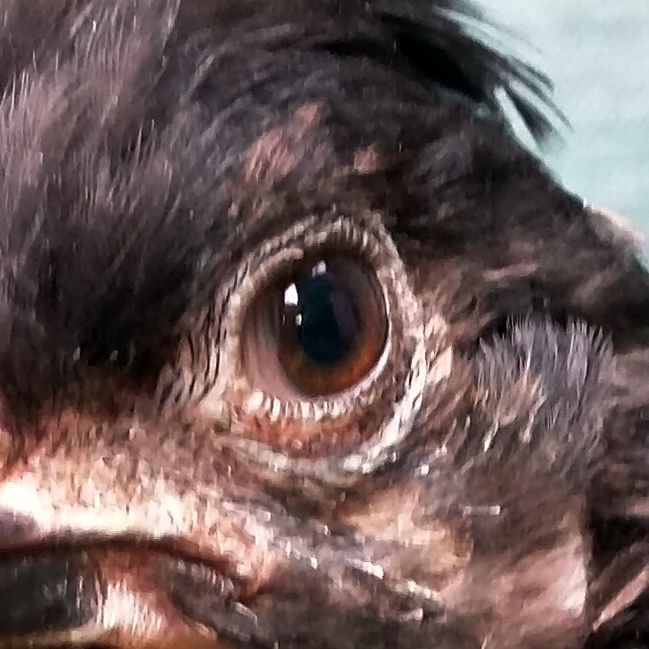 It deposits its eggs in the chicken's eye, which get passed down through the tear ducts, swallowed, and ejected from the body through the feces. 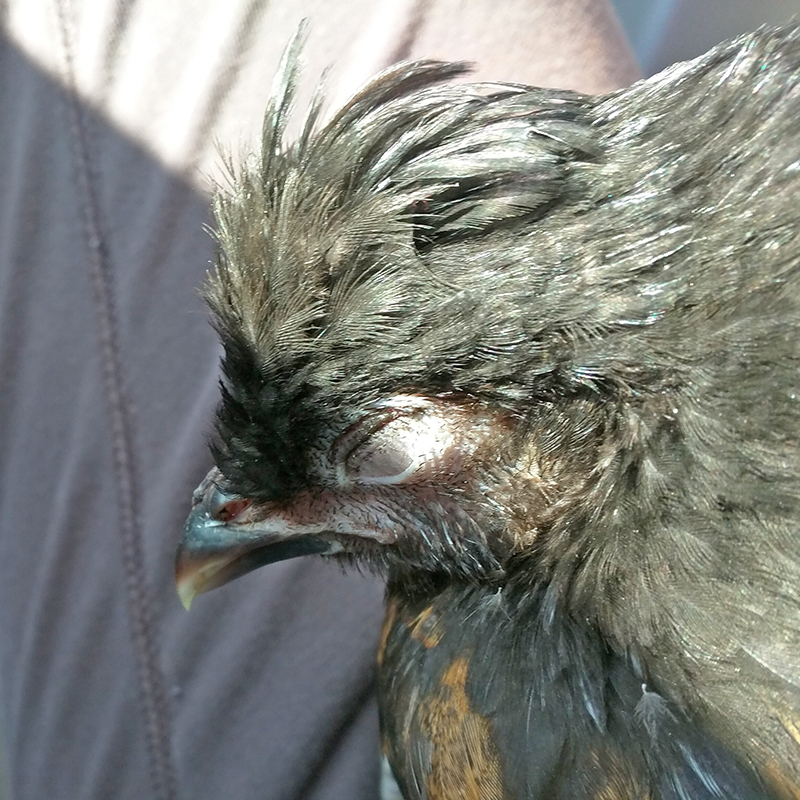 Infected birds can often be seen scratching at their eyes, possibly causing themselves to scratch their eye resulting in an infection. 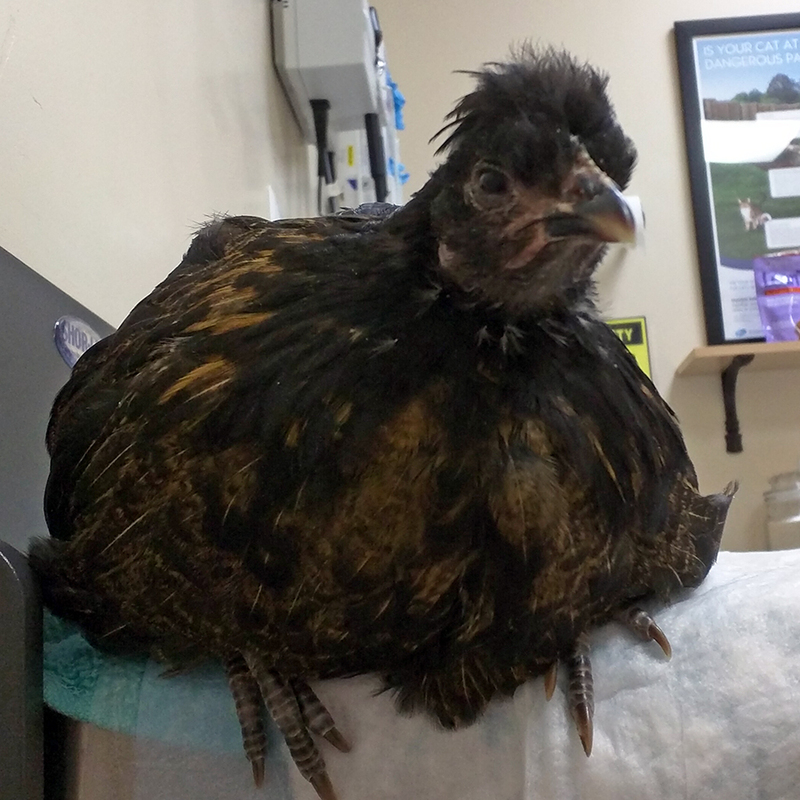 Swollen head syndrome: Swollen head syndrome (SHS) is an acute, highly contagious upper respiratory tract infection of poultry. SHS is caused by infection with the avian metapneumovirus (AMPV), a type of pneumovirus which is classified into four subtypes (A, B, C, and D). 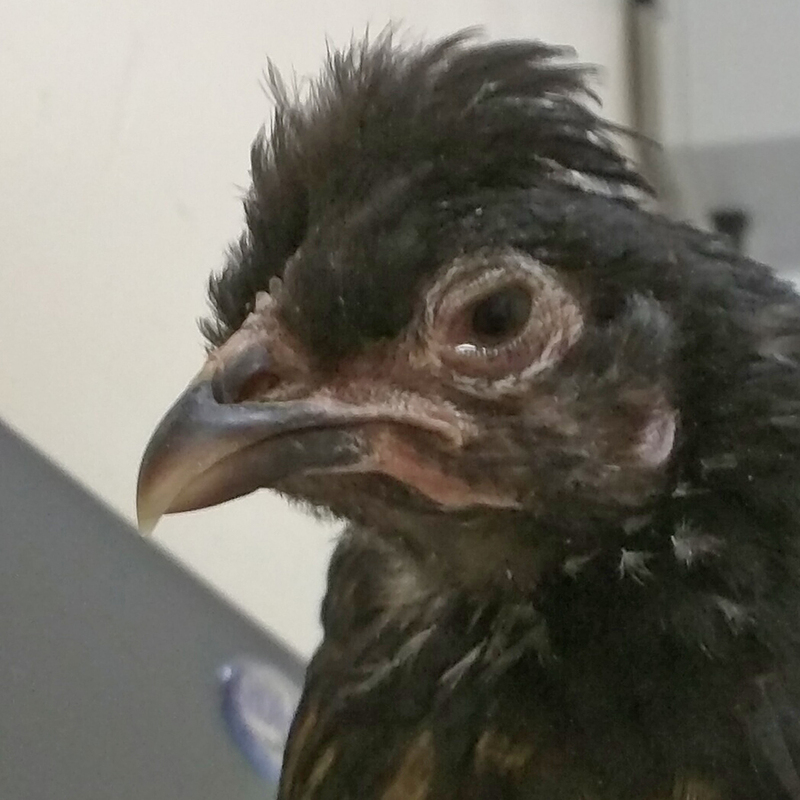 The typical clinical signs seen in chickens infected with the virus include swelling of the periorbital and infraorbital sinuses, particularly around the eye, coupled with mild conjunctivitis. Avian chlamydiosis: Avian chlamydiosis (AC) is a zoonotic respiratory disease of chickens caused by gram-negative bacteria from the Chlamydia genus. The genus consists of 11 different species from the Chlamydiaceae family. Chickens are predominately affected by C. psittaci, C. gallinacea and C. suis. Clinical signs observed in chickens vary depending on the virulence of the chlamydial strain and immune status of the bird. The most frequently reported signs in chickens include nasal and ocular discharges, dyspnoea, diarrhea, weight loss, reduced egg production in hens, hyperthermia, lethargy and dullness. Aspergillosis: Aspergillosis is a common fungal disease of chickens caused by infection with the genus Aspergillus, which consists of approximately 600 different species. A. fumigatus is the most common species isolated from infected chickens. 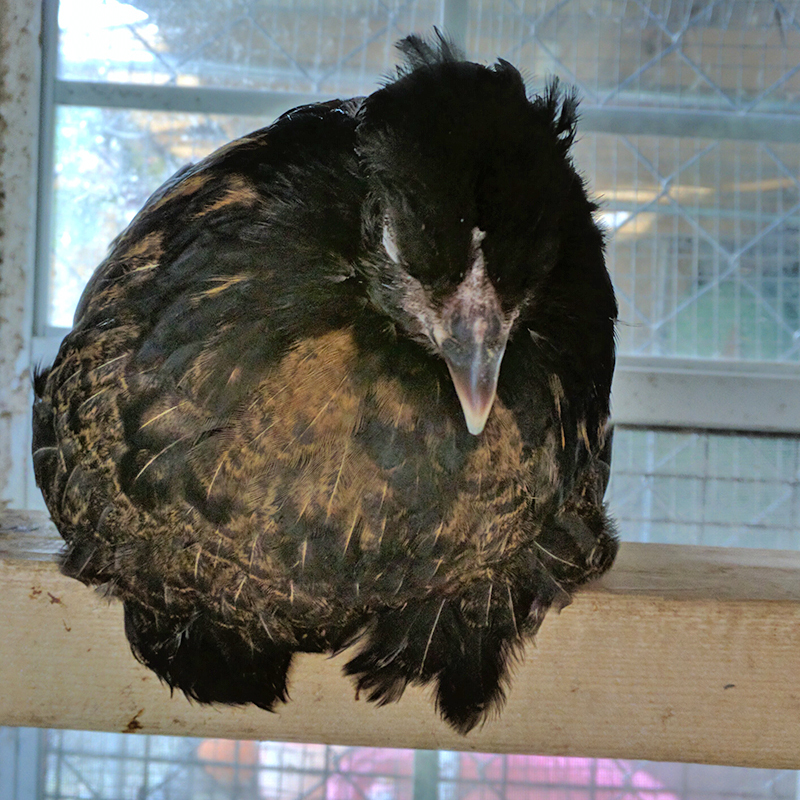 Aspergillosis manifests as two different forms in chickens. Acute aspergillosis, also referred to as brooder pneumonia is characterized by severe outbreaks in newly hatched chicks and is associated with high morbidity and high mortality rates. Chronic aspergillosis is a disease that occurs usually in adult birds that are living in poorly ventilated, dusty or moldy environments. Avian Influenza: Avian influenza (AI) is a highly contagious reportable disease of poultry that is sporadically seen in backyard flocks. AI is caused by infection with type A influenza virus, which is a type of orthomyxovirus of the family Orthmyxoviridae. Clinical forms of AI range widely from low pathogenic (LPAI) to highly pathogenic (HPAI). 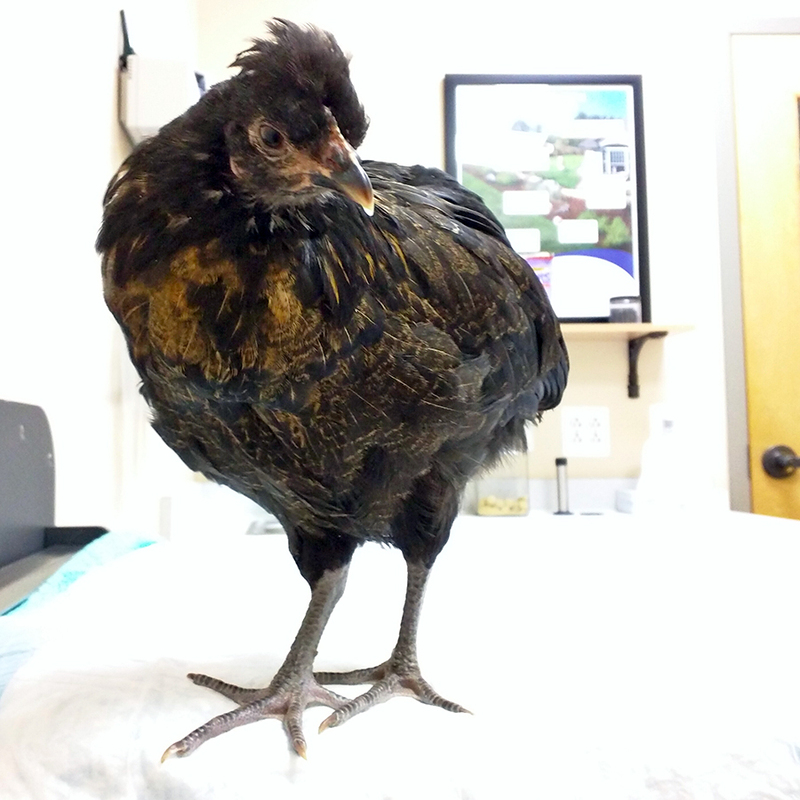 Clinical signs can vary from a mild infection (chickens show loss of appetite, deceased egg production, mild respiratory disease, and diarrhea) for LPAI to severe respiratory, neurological, and gastrointestinal (GI) signs with HPAI (resulting in high mortality rates). Ammonia toxicity: Ammonia toxicity refers to an inflammatory eye condition in chickens, caused by exposure to prolonged or high amounts of ammonia fumes. Ammonia concentrations above 25 ppm is toxic to chickens. 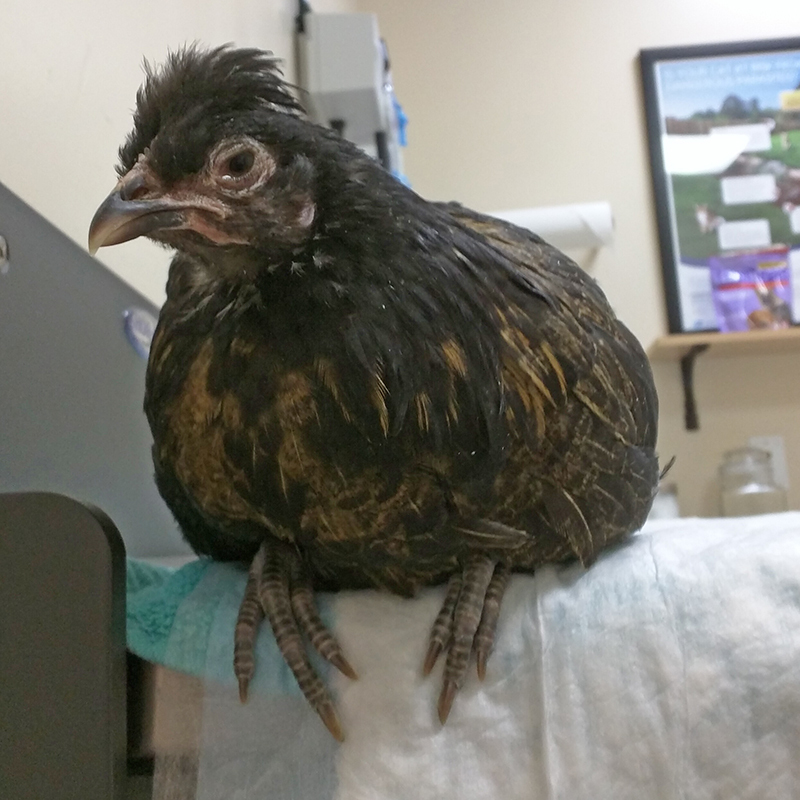 Ammonia toxicity usually occurs in both of the chicken's eyes. The main clinical symptom is the inflammation of the cornea and conjunctiva of the eye (conjunctivitis). Young, growing chicks are more susceptible to ammonia damage then adult chickens. 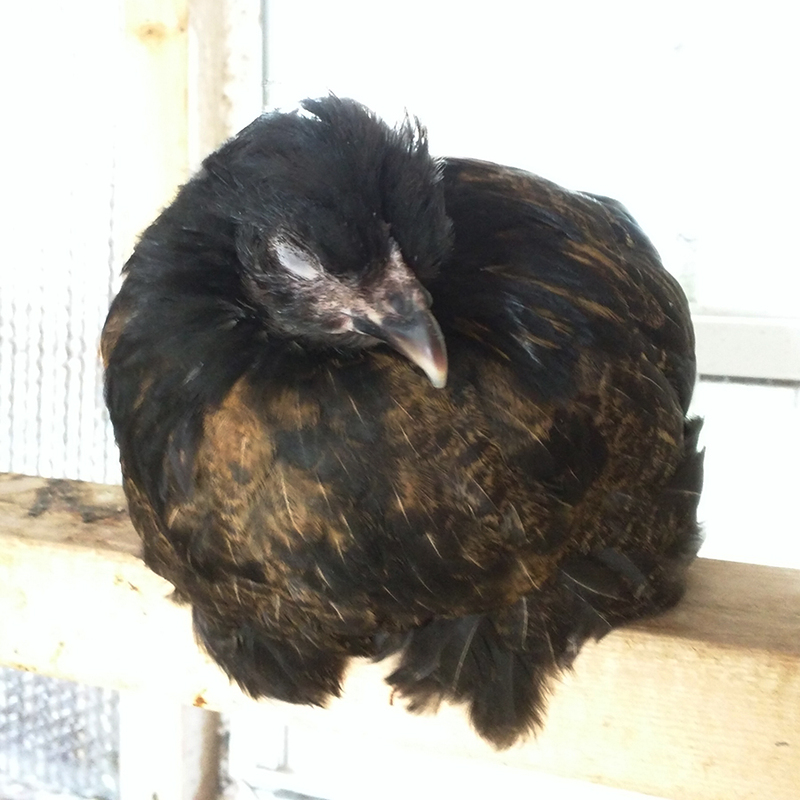 Chickens are more prone to developing ammonia toxicity during the winter season, due to increased time spent indoors, with reduced ventilation and accumulated manure. Antibiotic Spray Mix a 1 10 dilution of tylosin, linomycin, or spectinomycin in sterile water to produce a small spray bottle. Corticosteroid (betamethasone) drops Administered twice a day into the eyes for 2-3 days.